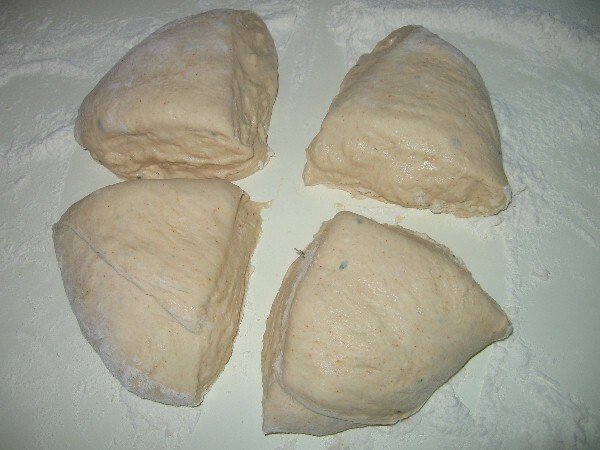 These doughs will work in the kitchen oven and the wood fired oven. 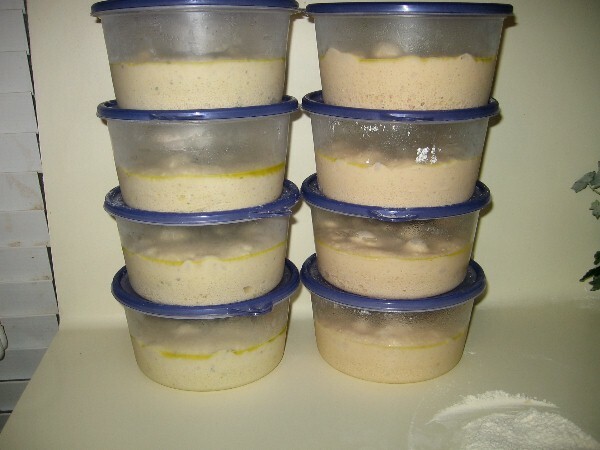 They are formulated for a 24 hour to 7 day cold (refrigerator) ferment. They can be used within a couple of hours with warm fermentation, but will not develop nearly as much flavor. 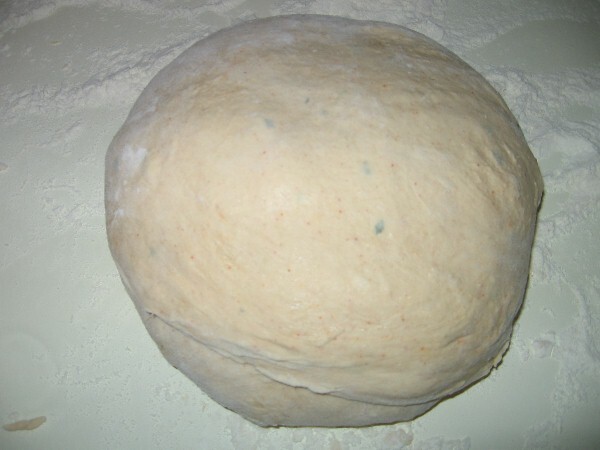 This is my "normal" dough, if there is such a thing. 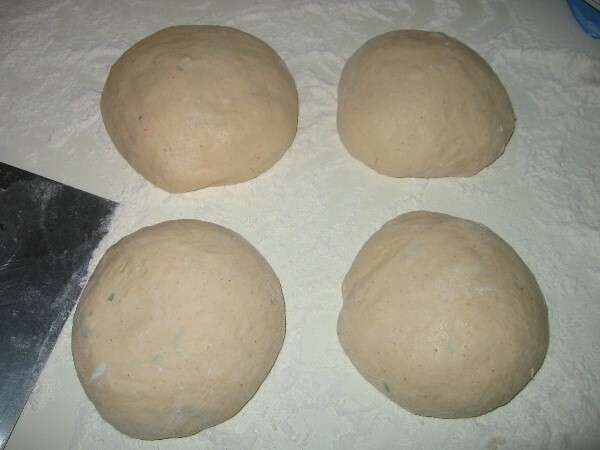 It will make 4 - 300 gram doughballs that will open to 14" skins with a nice thick rim or 16" thin crust. Note: The dough pictured has 1 tablespoon dried cilantro and 1 tablespoon paprika added. I do this when I make multiple batches at the same time so that I can tell them apart. Cover with a damp cloth and put in a 65-70 degree place for an hour or so to double. 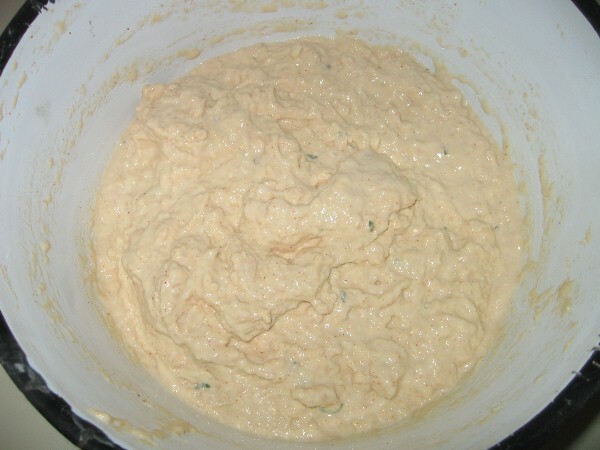 Dump it out onto a heavily floured surface. 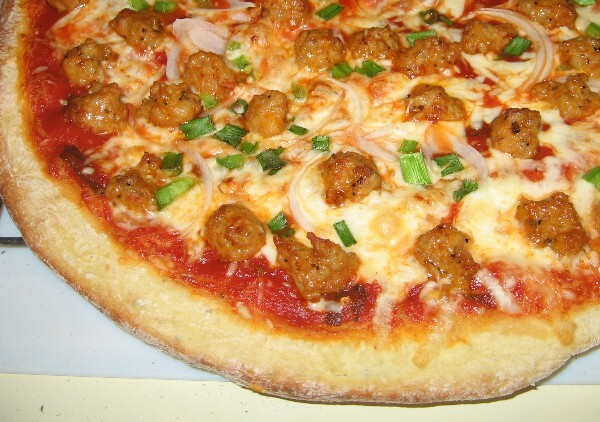 Do not be shy with the bench flour, this is an extremely hydrated dough. After balling, they go into lightly oiled storage containers to ferment in the refrigerator for a minimum of 24 hours out to 7 or 8 days. These particular ones are 36 hours old, and the ones on the right are the ones shown above. It always ends with Pizza.